According to a research team from the University of Zurich and ETH Zurich, water can reach – 263 °C without turning into ice, if it is confined in nanometer-scale lipid channels. Ice cubes can be made quite easily. All one needs to do is to take a plastic ice-cube tray that can be found in a majority of households, then fill it with water, and place it in the freezer. In a short period of time, the water will crystallize and change into ice. If individuals were to study the structure of ice crystals, they would find that the water molecules are organized in regular 3D lattice structures. On the other hand, the molecules are not organized in water and this is the reason that causes water to flow. A team of chemists and physicists from the University of Zurich and ETH Zurich, headed by Professor Raffaele Mezzenga and Professor Ehud Landau, has discovered an unusual method to prevent water from changing into ice crystals, that is, it continues to retain the amorphous properties of a liquid even at extreme sub-zero temperatures. In the initial step, the scientists designed and developed a new class of lipids or fat molecules, to produce lipidic mesophase—an innovative form of “soft” biological matter. The lipids in this material self-assemble in a spontaneous manner and combine to form membranes, acting just like natural fat molecules. Subsequently, these membranes create a network of connected channels by adopting an even arrangement; these channels measure less than 1 nm in diameter. Water content and temperature, and also the new structure of the engineered lipid molecules establish the structure that is taken by the lipidic mesophase. What is unique about this structure is that the narrow channels, unlike an ice-cube tray, do not have any space for water to change into ice crystals and therefore it stays disordered even at very low sub-zero temperatures. Moreover, the lipids also do not freeze. The researchers used liquid helium to cool a lipidic mesophase containing a chemically altered monoacylglycerol to a temperature as low – 263 °C which is just 10 °C greater than the absolute zero temperature, and still ice crystals do not form. The water, at this temperature, turned “glassy”, as the team was able to show and prove in a simulation. The results of the water’s extraordinary behavior, when restricted within a lipidic mesophase, have been reported in the journal Nature Nanotechnology. “The key factor is the ratio of lipids to water,” explained Professor Raffaele Mezzenga from the Laboratory of Food & Soft Materials at ETH Zurich. Consequently, the water content present in the mixture establishes the temperatures at which the mesophase’s geometry changes. For instance, if the mixture contains 12% water by volume, the mesophase’s structure will change at around –15 °C from a cubic labyrinth to a lamellar structure. What makes developing these lipids so tricky is their synthesis and purification. Dr Ehud Landau, Professor, Department of Chemistry, University of Zurich. Landau explained that the reason for this is that lipid molecules possess two parts—one that attracts water (hydrophilic) and one that repels water (hydrophobic). “This makes them extremely difficult to work with,” he stated. The new, soft biomaterial produced from the water and lipid membranes features an intricate structure that increases the water’s interface with the hydrophilic parts and reduces its contact with the hydrophobic parts. The new group of lipids was subsequently modeled on membranes of specific bacteria. These microorganisms also create a unique class of lipids that assemble on their own and can naturally limit water in their interior, allowing the microbes to endure in extremely cold environments. The novelty of our lipids is the introduction of highly strained three-membered rings into specific positions within the hydrophobic parts of the molecules. These enable the necessary curvature to produce such tiny water channels and prevent lipids to crystallize. The novel lipidic mesophases will mainly serve as a tool for other investigators. With the help of these lipidic mesophases, huge biomolecules in a membrane-mimicking environment can be non-destructively separated, preserved, and studied, for example, by utilizing cryogenic electron microscopy. This method is increasingly being used by biologists to establish the functions and structures of huge molecular complexes or huge biomolecules like proteins. In the normal freezing process, when ice crystals form they usually damage and destroy membranes and crucial large biomolecules, which prevents us from determining their structure and function when they interact with lipid membranes. Dr Raffaele Mezzenga, Professor, Laboratory of Food & Soft Materials, ETH Zurich. However, not with the novel mesophase, which in addition to being non-destructive, sustains those molecules in their original state and also in the presence of the other major building block of life, i.e. the lipids. “Our research is paving the way for future projects to determine how proteins might be preserved in their original form and interact with lipid membranes at very low temperatures,” stated the ETH professor. In addition, the novel class of soft matter may even be used in promising applications, where water has to be prevented from freezing. But our work wasn’t aimed at exotic applications. 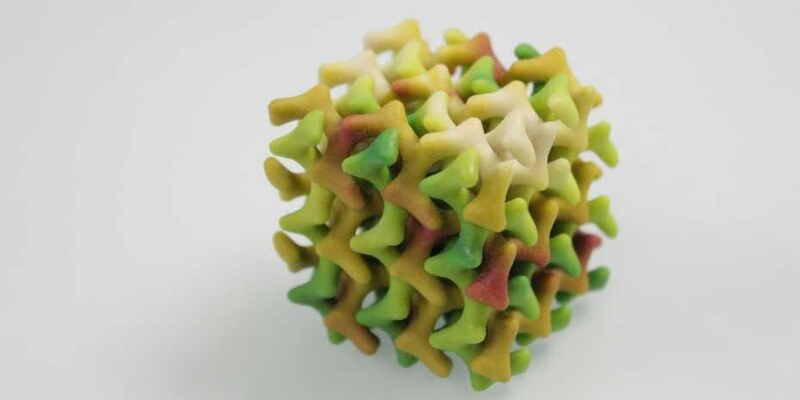 Our main focus was to give researchers a new tool to facilitate the study of molecular structures at low temperature without ice-interfering crystals, and ultimately to understand how two main components of life, i.e. water and lipids, interact under extreme conditions of temperature and geometrical confinement.